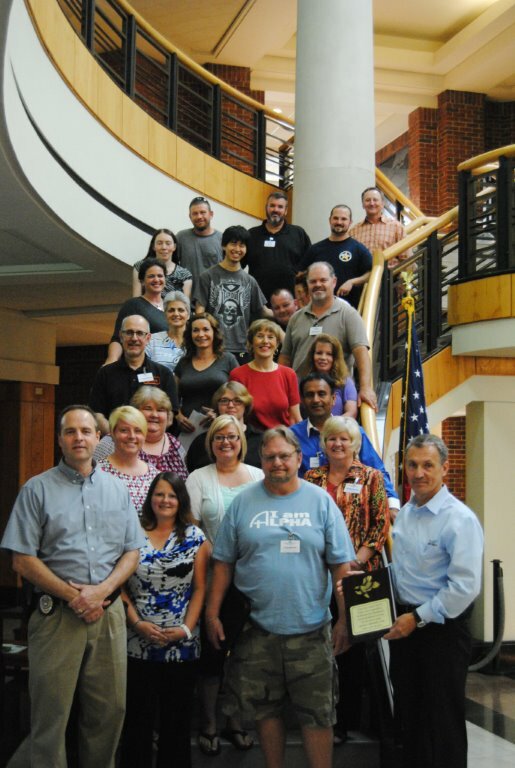 The Morristown Police Department is preparing for its twentieth (20th) Citizen’s Police Academy. Class will begin May 3, 2016 and end June 7, 2016. Classes will be held at the Police Department on each Tuesday night at 6:00p.m. until 9:30 p.m. Applications are now available to the public. Applicants that are interested may pick up an application at the Morristown Police Department located on the 1st floor of the City Center, call the Training Division and have one mailed, or view online HERE. The application deadline is March 18, 2016. Due to limited space, applications will be accepted on a first come first serve basis, pending the results of a background investigation of each applicant. Applications can be mailed to the Morristown Police Department at or dropped off to the Morristown Police Department’s Records Division. Applicants must be 21 years of age. Those who miss Academy # 20, due to limited space, will have the opportunity to attend the next academy. (Date to be announced). The Morristown Police Department invites interested citizens to participate in the Citizen’s Police Academy. Upon completion of this course, each citizen will have a better understanding of the daily operations of the Morristown Police Department. It is our goal to continue to build a partnership with the community. Any questions concerning the Citizen’s Police Academy #20 class may be directed to Lieutenant Todd King of the Morristown Police Department Training Division at (423) 585-4646.